Can You Treat Hair Loss With Essential Oils? Essential oils contain high concentrations of the chemicals that give plants their essence -- or fragrance and flavor. Distilled from the leaves, bark, flowers and other parts of plants, these oils have been used for centuries to promote hair growth in Chinese and Ayurvedic medicine. Although there are prescription remedies for treating alopecia, or hair loss, including minoxidil (Rogaine) and finasteride (Propecia), many people are interested in alternatives. 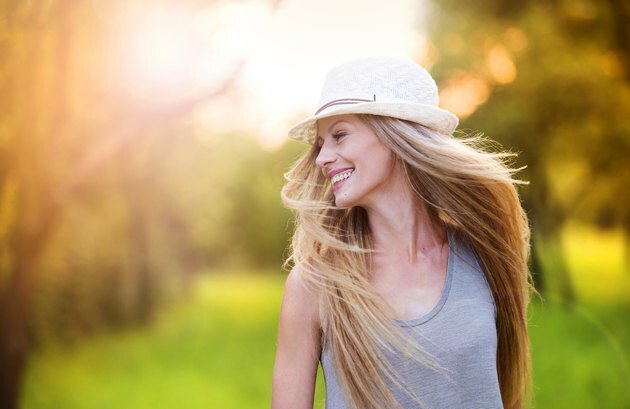 While most research on essential oils and hair regrowth has been in the form of animal studies, preliminary evidence indicates essential oils may be a viable therapy for hair regrowth. Pumpkin seed oil (PSO), taken internally, has been shown to promote hair growth. In a study published in the April 2014 "Evidence-Based Complementary and Alternative Medicine," 76 males between the ages of 20 and 65 with mild to moderate hair loss were given a daily dose of either 400 mg of PSO or a placebo pill. At 24 weeks, 40 percent of the PSO-treated group exhibited an increase in hair growth, while only 10 percent of the placebo group experienced improvement. The authors reasoned that the PSO may act to diminish the action of 5-alpha reductase, an enzyme associated with hair loss, an effect previously demonstrated in rat studies. Several essential oils have been used for years as a natural therapy for promoting hair growth. In a study published in the November 1998 "JAMA Dermatology," researchers combined several of these oils and asked adults with alopecia to apply the mixture to their scalp daily for 7 months. Both the treatment group and control group applied grapeseed and jojoba oil to the scalp, while the treatment group's mixture also included essential oils from rosemary, lavender, cedarwood and thyme. By the end of the study, 44 percent of the treatment group showed hair growth, while only 14 percent of the control group showed improvement. No adverse effects of the oils were noted. Perhaps because it makes your head tingle, peppermint oil has been long rumored to have hair-growing properties -- and there may be something to this. A study reported in the December 2014 issue of "Toxicological Research" reported that rats given topical application of 3 percent peppermint oil showed more hair growth than those given minoxidil, placebo or jojoba oil. The authors noted the peppermint oil induced very thick and long hair in the mice after 4 weeks, without signs of toxicity. Zizyphus jujuba -- not to be confused with jojoba -- is a thorny plant found in both Europe and Southeast Asia. For ages, many parts of this plant have been used for medicinal purposes. A study published in the May 2010 issue of "Food and Chemistry Toxicology" linked topical application of this essential oil to hair growth in mice. The essential oil of chamaecyparis obtusa (C. obtusa), a member of the cypress tree family in northeast Asia, is an ingredient in some health and beauty products, including shampoo. As people claimed these shampoos promoted hair growth, researchers decided to test it. In a study published in the April 2009 "Fitoterapia," rats treated for 30 days with a topical treatment of C. obtusa essential oils were reported to have significantly more hair growth compared to the placebo group. If you are interested in treatment to help regrow your hair, discuss options with your doctor. While the available studies on the use of essential oils in alopecia showed no adverse effects, essential oils can be toxic, especially when not used as directed. In addition, these oils are not regulated by the Food and Drug Administration. Even when rubbed on the skin, herbs and their essential oils can trigger allergic reactions and irritations -- and interact with other medications and supplements. Because of this, you should only use essential oils -- and all herbal supplements -- with the supervision of your healthcare provider.